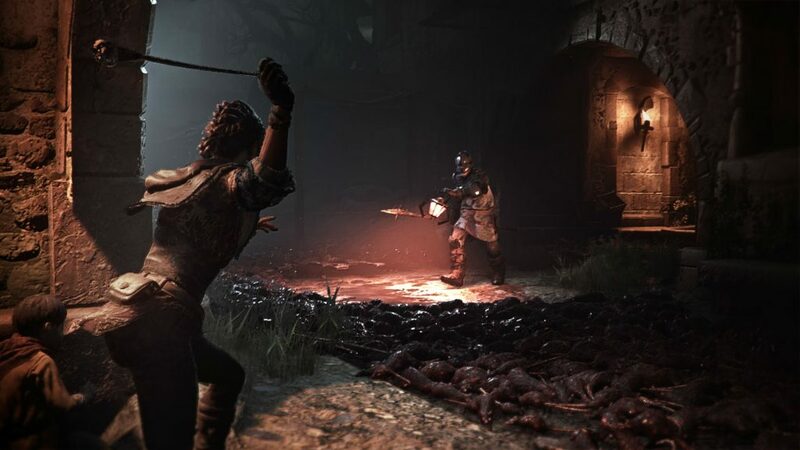 A Plague Tale: Innocence is a new action adventure game developed by ‘Asobo Studio‘ and published by ‘Focus Home Interactive‘. A Plague Tale: Innocence will be coming out the 14th of May on the Xbox One, PS4 and PC. No normal person likes plagues but this game has it. Let’s take a look. 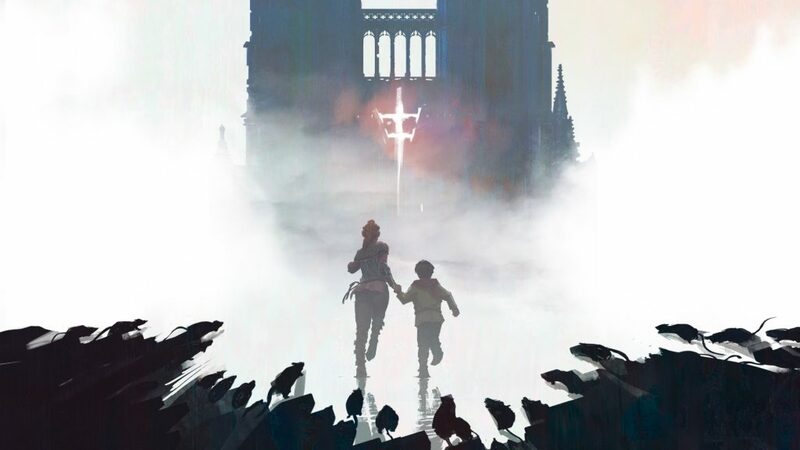 In A Plague Tale: Innocence, players are in France but don’t get carried away, this isn’t a holiday. This is France in the year 1349. The game has called it the darkest hours in history. The plague is just causing all kinds of problems in France. The disease has destroyed and ruined villages and many lives. Players control 15 year old Amicia and her five year old brother Hugo. They will face some real bad times through this story. Now let’s look at the characters so far in A Plague Tale: Innocence. Amicia is even though only 15 years old is described as a strong woman, independent and physical. We also learn that she has been trained to hunt by her father. Those skills will come in handy. Her brother Hugo is a different story though. Hugo is described as a frail child. Also doesn’t help that he’s five years old. He suffered from an unknown disease. Thanks to the disease he was kept locked up for most of his childhood and has very little contact with his big sister. He’s a smart kid though and both siblings must work together to survive. 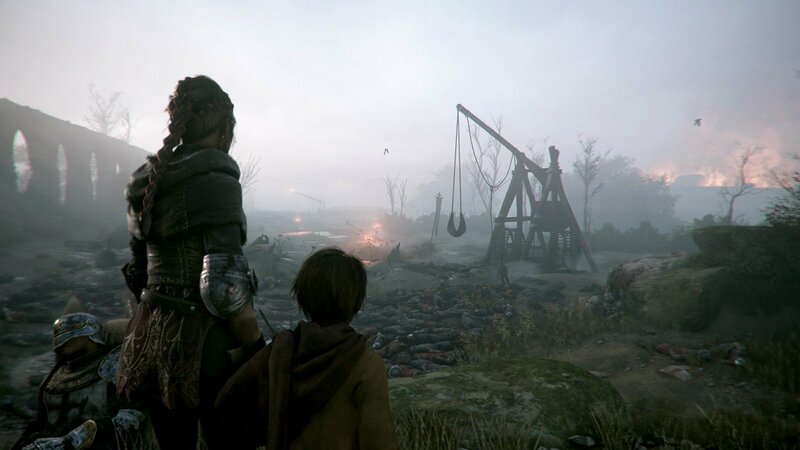 Things get worse though, in A Plague Tale: Innocence, as the Inquisition is after them for reasons we don’t know. These knights are dangerous and will seek to harm you if found. They are also capturing young children which let’s us know that Amicia and Hugo aren’t the only ones left. Off course the soldiers of the inquisition are too much for the siblings to handle straight up. It is advised that clever thinking and being strategic is the way to beat them. So yes, stealth is a part of this game too. Sneaking around, crunching and avoiding being seen are essential. Wait… you thought the knights of the inquisition were bad? It gets worse. Remember that plague? Well let’s just say the rats are connected to it. They are a deadly horde of vermin that can’t be stopped. They devour and eat everything in their path without mercy or even thinking about it. You have even less chance against the rats then you do with the knights. Run from them, get somewhere where they can’t reach you. They do have one weakness though. Fire. The light from the flames keep the evil rats at bay. Remember this when playing A Plague Tale: Innocence. We checked out some A Plague Tale: Innocence gameplay and we quite like what we see so far. The graphics for the demo are good. The sounds are very good too, giving quite the detail. The knights don’t look scary except their leader. The rats definitely look dirty indeed. Their eyes light up in the dark when you use a torch. Eventually the player will find and work together with other children, orphans to be exact. Amicia can use her equipment and wit to knock torches or lamps out of the hands of certain knights allowing the rats to eat them alive. Pretty cool.